Swasey Chapel was packed on April 25 with fans of the Hilltoppers ready to see their last concert of the year. It was their “Out with the Old, In with the New” concert, ushering in new members and saying farewell to the seniors. The new members sat with the audience for the majority of the concert. As the group started to sing “Confusion,” however, each senior went to a new member and put their Hilltopper badge onto their blazer. Then the new members started to sing with them. The newest members pulled to the stage were Oliver Deak ‘17, Henry Lawson ‘17, Ekow Thompson ‘16, Andrew Stewart ‘15, Nick Van Atta ‘17, and Ethan Ling ‘17. The seniors gave their last hurrah when they got the chance to sing a song of their choosing. The seniors include Caleb Randall-Bodman, Adam Safer, Jack Ogilvie, Kyle Gordon, Justin Weiss, and Danny Webb. These solos were spread throughout the concert. Although it was a bittersweet concert, next year will be exciting for the Hilltoppers with Kyle Vesper ‘15 as the new rehearsal director. 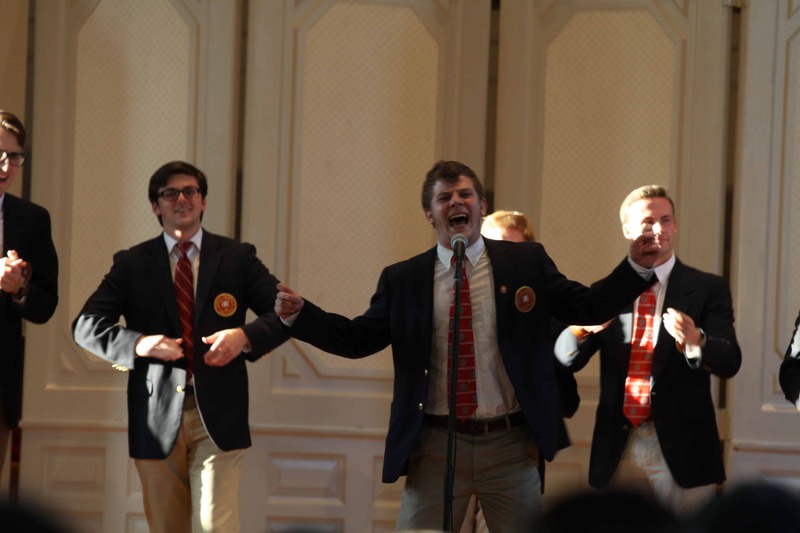 Denison music lovers can look forward to seeing performances from the Hilltoppers for years to come. A sophomore from another small town in Ohio, I am majoring in English because I love to edit and write. I am also involved in the Creative Writing club.